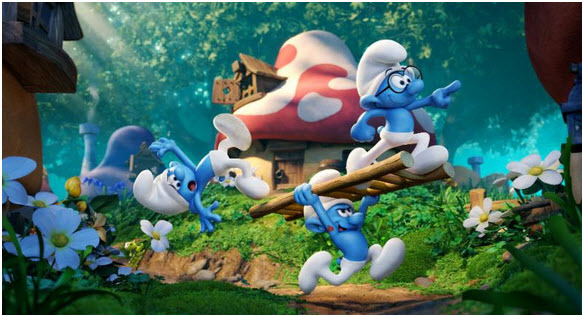 A new Smurf movie trailer is out and it shows just how far the Smurfs are willing to go to poke a little fun at themselves. At one point they are singing the Smurf theme song and Neil Patrick Harris says “Stop! None of you find that song just the tiniest bit annoying?” The trailer shows us a little bit more of the plotline. From what we can tell, Gargamel is after the Smurfs in New York City, where they have escaped to. A few different trailers just came out, but this is one of our favorites. By the way, if you are wondering how old Papa Smurf is, he mentions that he is 546. 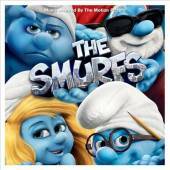 Although the Smurf Movie is not set to be released until August 3, 2011, Sony has released a new trailer that shows much better how the animated Smurfs are going to be integrated into the live action film. From the trailer we can see that the Smurfs arrive in New York from Belgium and end up with Neil Patrick Harris somehow. 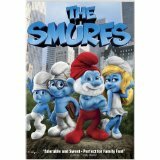 The Smurfs themselves look pretty much the exact same as they did in the cartoons except with celebrity voices. It should be noted that the movie will be in 3-D. Check out the new trailer below. What do you think? A great way to introduce a new generation to a beloved set of characters or a rip-off repeat that should have been left alone?